How do you follow a trail more than 200 years old, when even the maps they used uncertain? You look for specific historical deposits. And famed explorers of the Louisiana Purchase, Lewis and Clark, made some very unusual ones. A year after President Thomas Jefferson purchased a lot of land from the French in 1803, he sent out Meriwether Lewis and William Clark to get a look at what exactly he’d bought. The two commanded an expedition that started out in St. Louis and made its way to the Pacific coast. Some parts of their trail are well-known, while others remained lost to historians for years. People knew roughly where Lewis and Clark made camp, but they couldn’t find the actual sites. And even if they happened to come across an old camp site, it was difficult to tell which actual campers had made this fire, or cut down that tree, or dug that latrine. Eventually, researchers came across some information that helped clarify things... and that information came from their latrines. Lewis and Clark were fairly well-equipped and well-trained, even if only by the standards of the day. Given what those standards were, it’s surprising that they only lost one person during their trek. According to their own records, they bled people who were feverish, they gave purgatives to people who felt weak, and they administered potassium nitrate (a preservative substitute for salt) to people suffering from heat stroke and dehydration. They also brought along the wonder drug of the day, mercury chloride (otherwise known as calomel), as a pill, a tincture, and an ointment. Several sites have been discovered exactly this way. The most famous is Traveler’s Rest, in Montana. 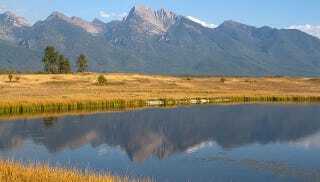 So if any Montanans are reading this, and have a weekend free, go out to your state park and, as you look around, savor the fact that you’ve been blessed with clever researchers and famous latrines. But maybe don’t drink the water near a Lewis and Clark campsite.